is a community organization that works to increase access to health and social services in English for residents of Montreal’s east-end, through collaboration with public, private and community stakeholders. The East Island Network for English Language Services-REISA, a community organization, works to increase access to health and social services in English for residents of Montreal’s east-end, through collaboration with public, private and community stakeholders. English-speaking communities in the east-end of the island represent a significant 14,8% of the area’s population. However, it is common that the needs of these communities are overlooked. REISA seeks to promote access to health and social services in the English language in areas where minority groups are more comfortable receiving services in English than in French. Growing membership and increasing collaboration with the health and social services institutions will allow us to meet more and more needs observed in the English-speaking communities by developing, maintaining and strengthening the network of services available. Through Health Canada’s Networking Partnership Initiative (NPI) funding and with the support from the Government of Québec, the Community Health and Social Services Network (CHSSN) promotes community development and capacity-building. Twenty English-speaking minority communities in the province of Quebec benefit from organisational support teams such as REISA. 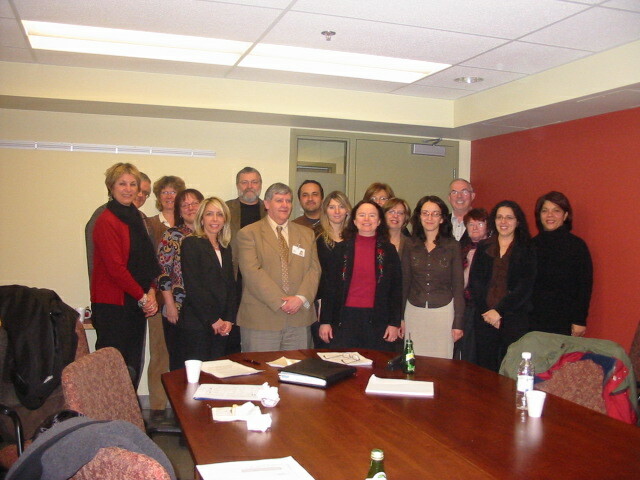 In 2005, the Catholic Community Services (CCS) aimed to fulfill the NPI objective of establishing a local network for Montreal’s East end, which in turn initiated the creation of what is now REISA – The East Island Network for English-Language Services. REISA incorporated in 2010 and has grown into a community organization partnering with public, private and community stakeholders. REISA has assisted partnership development in three main areas: expansion of local-level services, outreach to new services and community capacity-building. Keeping the English-speaking communities’ needs in mind, REISA has identified priority development sectors: Youth, Seniors, persons with intellectual and physical disabilities and mental health challenges and their caregivers. REISA has supported community development in various fields including addiction, drug awareness and prevention, family counselling and mediation, the creation of student training sites in the community, community education on mental health, prevention and management of diabetes, supported seniors activity groups and empowered seniors in leading activity groups and community development.